New Utah Gardener: When Should I Plant Potatoes in Utah? When Should I Plant Potatoes in Utah? Potatoes are easy and fun to grow! They do very well here in Utah. I have had success with various red potatoes and yukon golds. I have never tried russets. The time to plant potatoes on the Wasatch Front is April. By the end of June you might be able to harvest some small "new" potatoes by digging them out from under the plants without digging up the whole plant. When the plants start to die back in late summer and fall, you can dig up the whole plant and find full-sized potatoes. 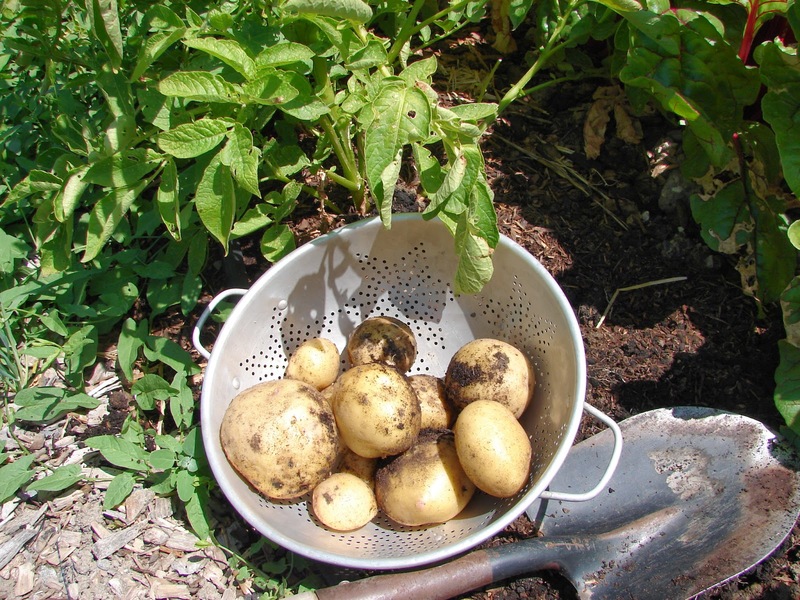 Potato plants like full sun, rich soil and consistent watering - same water as the rest of your vegetable garden. Purchase seed potatoes (not potato seeds) from your local garden center in April. A seed potato is a potato that you can cut up into quarters or eighths (each piece needs to have and "eye" on it) and plant right into the ground. Plant them 3 or 4 inches deep and about 18 inches apart. As the plants grow throughout the spring and summer they will need "hilling". Hilling is adding more soil and compost around the base of the plant - 3 or 4 inches maybe twice during the season. This will protect any tubers (potatoes) forming near the surface of the soil from becoming exposed to the sun. 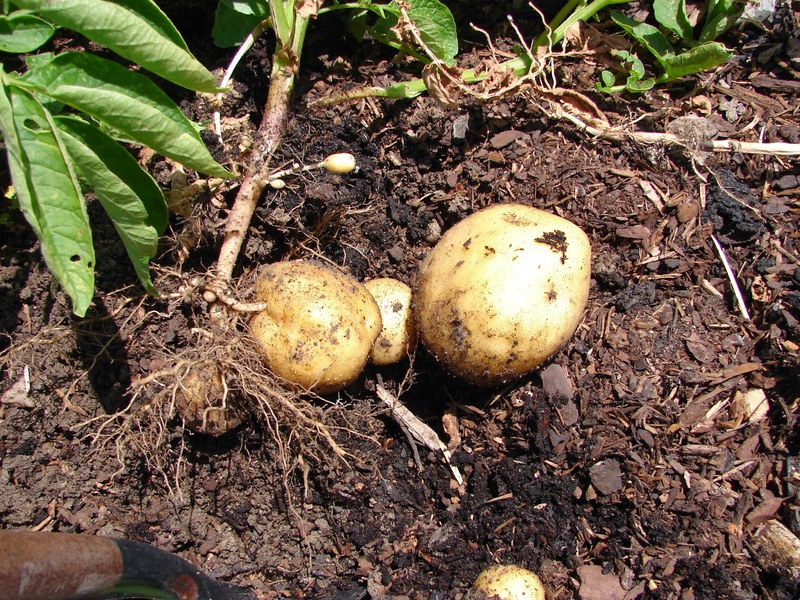 If potato tubers are exposed to the sun, they will get a green skin and can be toxic to eat. We don't want that. Digging potatoes at the end of the season is some harvest-time good fun! Be careful not to slice into the potatoes with your shovel - start digging about 12 or 14 inches away from the base of the plant and dig deep. Here is more info about potatoes. Harvesting Potatoes in Utah - big fun!